People often ask me why I go to Disney so much. Aren't you tired of doing the same rides over and over again? Sure, a lot of the things we do while on vacation are repetitive, but the familiarity of it all is what makes it a true vacation to me. You like to go to the beach and I like to go to Disney World. 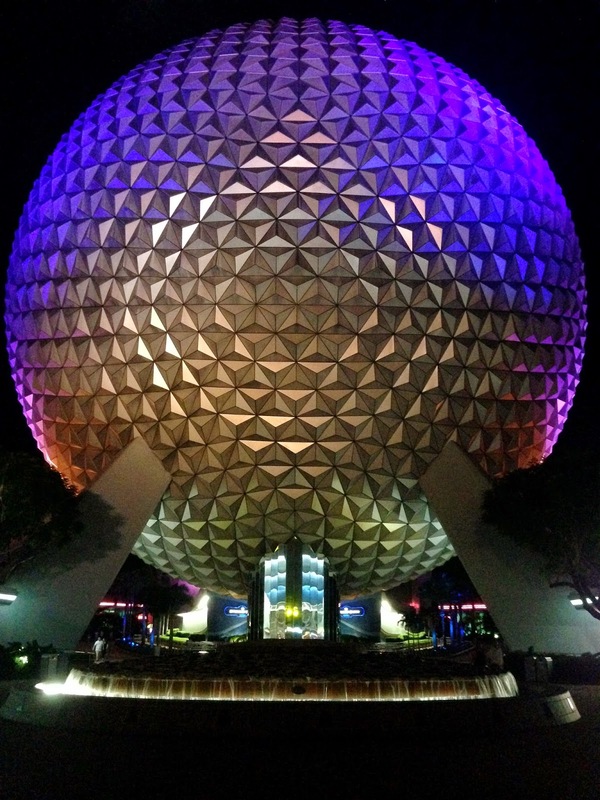 To make each trip memorable and unique, I try to do at least one thing I've never done before and the Epcot After Hours Wind Down event was just the thing I was looking for! On select nights now through the beginning of November, you can choose from four bars in Epcot to take part in a very unique after hours event. Parks after hours?! Food and wine?! Sign me up! 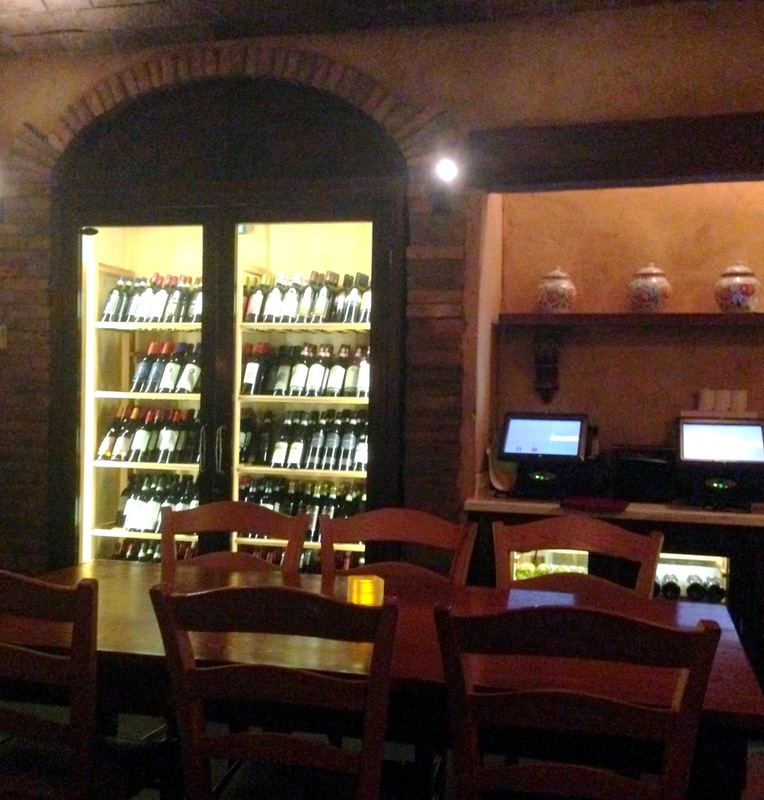 We decided to try the wine tasting at Tutto Gusto Wine Cellar in Italy for our after hours experience. The other options were tequila tasting at La Cava del Tequila in Mexico, beer at Rose and Crown Pub in England and I'm not really sure what at Spice Road Table in Morocco. Concluding the fireworks show, Illuminations, the park officially closed to the general public. If you are part of the After Hours event, make your way over to the country you chose and sign in with the host. They will lead you to a table where you will then get a wristband to denote that you are part of the event. I apologize in advance for the pictures you are about to see. I did not have a decent camera with me so these were all taken with my iPhone. Sorry!! 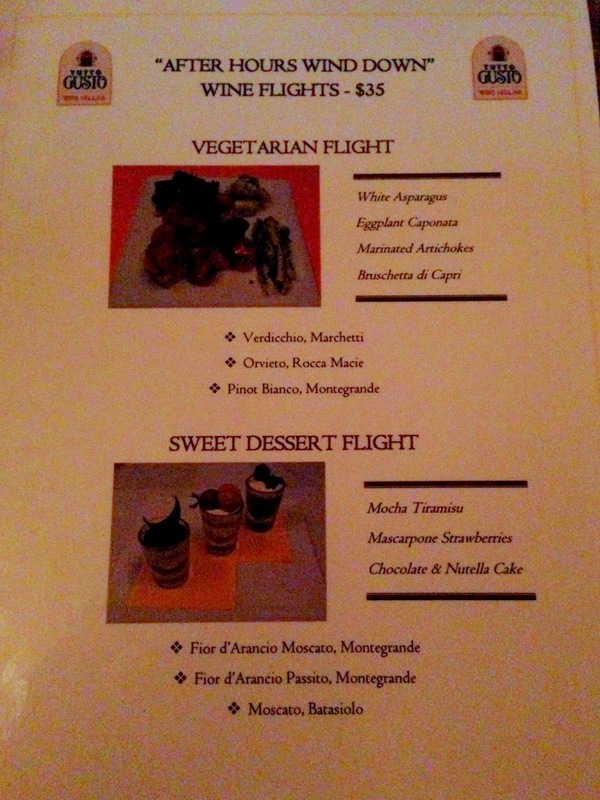 You are presented with a pairings menu. I was not expecting such a variety of options. I kinda figured it would be the same for everyone, so it was nice to be able to order different things and see/taste what everyone else in your party chose. 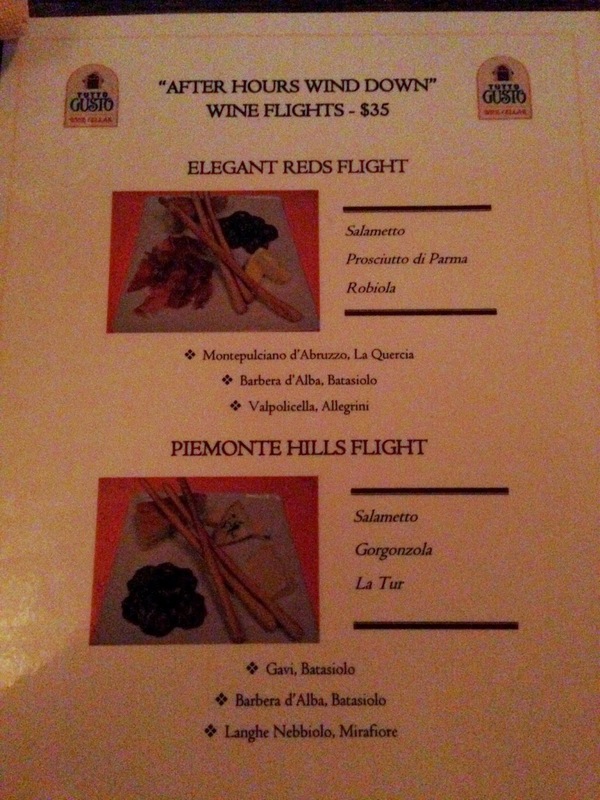 Since it was 9:30 at night, I went with the sweet option for my wines since they were paired with dessert. To be honest, this is the part I wish I could do over again. I was intimidated by the red wines since I usually only drink white, and ended up with too sweet of wines (Moscatos to be exact). Since my inlaws ordered the reds with cheese and bread, I sat envious wishing I hadn't done what I did. 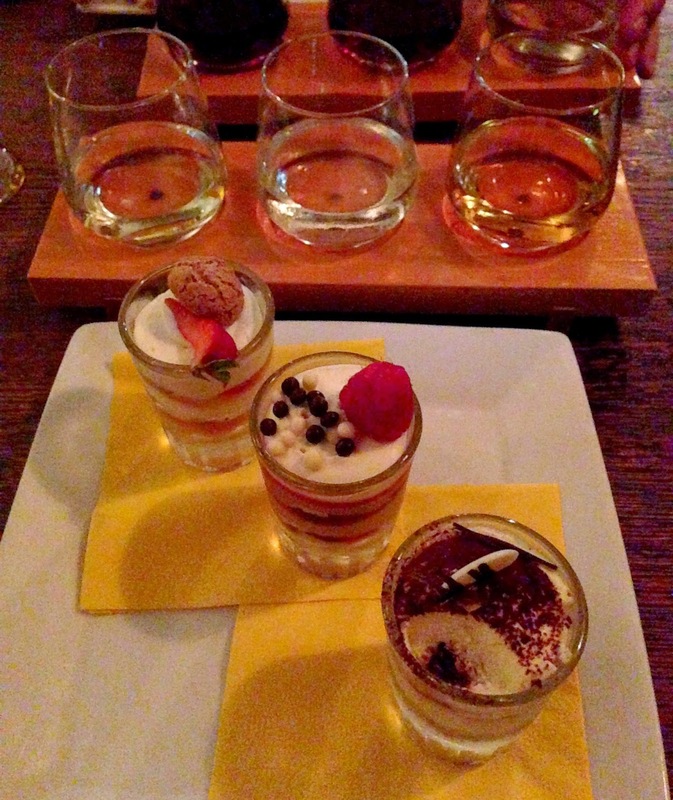 The desserts were good, but after sweet wine and three dessert shooters I was left with a sick feeling in my stomach. Way too much rich food that late at night. I didn't let my own ordering mistake bring me down though. One of the highlights of the event was the fact that our server was the same server we had on our Disney cruise over a year ago! I couldn't believe it. His name and voice were so familiar to me and it didn't take long before I was able to place him. Of course he had no idea who I was, but it was still nice to make that connection. Once we were done, we went ahead and asked for the check. At this point you have the option to order drinks a la carte off the menu but since we just spent $35 on this, I didn't see the need to spend another $10 on a glass of wine. This next part was the absolute best and made me feel like I really got my money's worth. We got to walk all the way to the front of the park to leave with no one else in the park! My Disney inner nerd was completely freaking out. I mean how often can you say you just walked through Epcot with no one else?! I got to snap some awesome pictures (as awesome as you can get with an iPhone camera) and enjoy the peace and quiet of the entire theme park. All in all I would recommend this experience to anyone who enjoys a nice quiet end to a hectic day at the parks. Sit back, relax and enjoy an adult beverage while everyone else battles with strollers and wheel chairs to get back to their rooms after a long day. 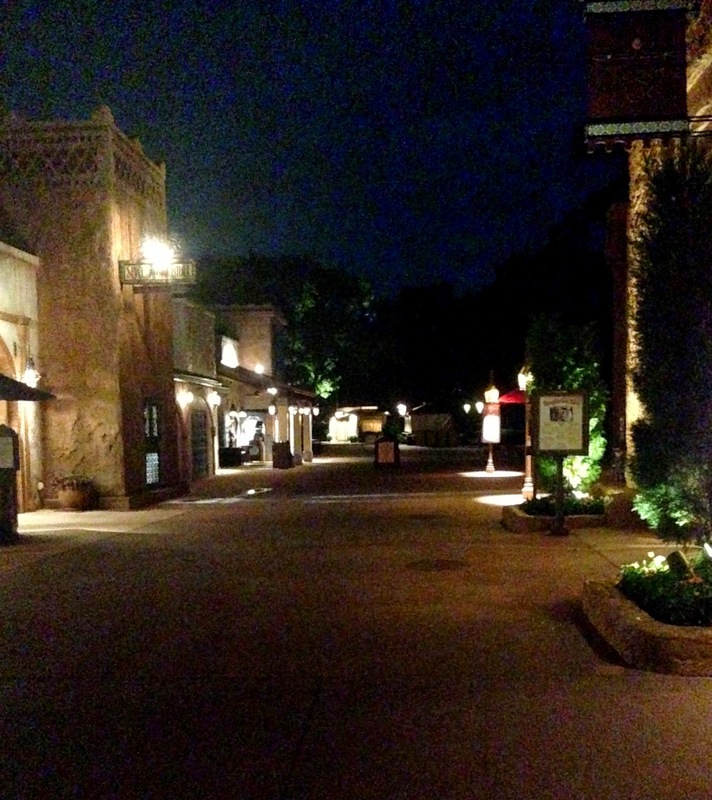 Then when you are done, just waltz out of the parks like you own the place; priceless.